Betty claims, that in addition to hearing Earhart's voice, that she also heard Noonan's voice in the background. Is this even possible? Earhart's radio was equipped with a Western Electric 631B carbon microphone. Microphones designed to be used in a high noise environment, such as an aircraft cockpit, are designed to cancel out noise from the background so that only the desired words, spoken directly into the front of the mic, comes through. These "noise cancelling" microphones have two carbon microphone elements, one on the front and one on the back of the mic. Any sounds that come through both the front and the back are cancelled. You could hold one of these mics up at a rock concert and nothing would be picked up since the noise would come into both elements. But, at the rock concert, if you place your lips against the front of the mic and start talking your words will come through clearly without any music in the background. So I am wondering (I don't know the answer) if the WE 631B was a noise cancelling microphone? If it was then it could not have picked up Noonan in the background so would undermine Betty's story and all the speculation that Noonan was injured which comes from Betty. I don't know exactly when this type of mic was developed but I used to use a WW2 headset that had a carbon noise cancelling boom mic so I know that they came into use not long after the Earhart flight. I have been trying to find definitive information on the WE 631B to settle this question, one way or the other, but have been unsuccessful. Does anyone have the specifications or circuit diagram for this mic? The history of noise canceling microphone technology in the U.S. dates back to the 1940s, when they were first introduced for both military and commercial applications. An excellant and discoverable point. I recall reading that the mirophone was not "noise cancelling" by our current standards. I may be wrong, so I'll try to find the references. The mic and the radio were older designs than was being used commercially at the time, and AE's choice of using slightly out of date technology has beeen questioned (I'll look for that reference, too). I definitely remember reading that AE was advised to pitch her voice higher and louder in order to be heard clearly, and that the sound quality of her mic was not very good. Also, I remember one radio operator's report that the sound of engines in the background was absent in one of the supposed post-loss transmissions, implying that the sound of the engines was normally present in her in-flight transmissions. How did Betty know Fred's voice was in the background? Betty only had audio, not video. Could both be cheek to cheek yelling into the microphone, Fred with a weaker voice? I can't see how to know exactly where he was, maybe in the left seat peeking out at the water? It does seem like there could be a test to find out if both could be heard on one microphone. Maybe they were cheek to cheek trying to yell NORWICH CITY! as loud as they both could. Betty did write she heard "come here just a moment" .....and later wrote "in here he kept wanting to get out of the plane because it was so hot and she kept calling him back" The second part seems to be an assumption of Betty. Fred could have stood up to look out but sat back down so when she hears him, he is in front of the microphone. The TIGHAR Wiki description of the radio including a picture of the microphone can be found here. The mic has the appearance of a non-noise cancelling design, but the back is not shown, so it is not proven one way or the other. Michael Everette's Technical Analysis of the Electra Radio can be found here. It includes the statement that "...Additionally, the audio fidelity was poor, mainly due to the microphones employed. Carbon microphones of the 1930s and 40s were very similar in design and construction to a telephone-type microphone element. These microphones had to be close-talked; that is, held up almost directly in front of the lips. They were not noise-canceling, so any background noise from the aircraft engines and propellers was also picked up, further reducing intelligibility. It was necessary to speak slowly and deliberately, usually with a raised voice, to make oneself understood." The comment about "...held up almost directly in front of the lips" might imply that Fred would normally be too far away to be heard intelligibly. Then again, if there was no background noise, perhaps he could be heard. That implies a relatively quiet cockpit. How quiet would it have been with engines idling? IF it was a noise cancelling microphone then it only picks up your voice when your lips are pressed against the front of the microphone. There is not enough space for two sets of lips. This is a very interesting line of inquiry - I have often wondered about this myself. Given things like ambient noise, waves, engines etc. and Noonan's position at the rear of the aircraft it would need to be a fairly powerful mike. Does anyone have the specifications or circuit diagram for this mic? 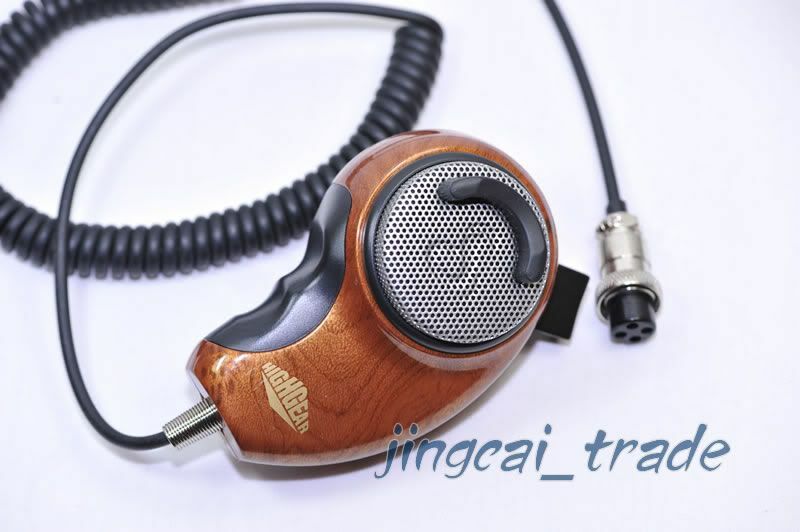 It has been difficult to find information on the WE 631B microphone. Bob Paquette made available to TIGHAR a 1935 "index card" used in the field for microphone repair shops which he had in his museum. Another source was the Northwest Airlines History Centre that tracked down a 631B (but the mic has been retrofitted with the coiled cord) and photographed it for TIGHAR. Although the carbon microphone has low sensitivity, the microphone experts at these organizations said the 631B could pick up ambient noise or voices. Just a quick look on wiki and noise cancelling microphones need 1 to 3 cm to work best. It does not appear that the lips need to touch the microphone to work. I'm not an expert so if you can post the source where it says lips are required to touch the mic they used so it works, that would help. I think if it picked up background engine noise it seems likley it could pick up background voices. Well, I've used lots of noise cancelling mics both in planes and in the army and that is the way we used them. Some of them even have a little ridge for your upper lip to rest on to assure proper placement of your lips. The main thing about using a noise cancelling mic is that you don't want the sound of your voice to make it around into the other mic element as anything that gets into it will be cancelled. But even going with your 1 to 3 cm there still isn't room for two sets of lips that close to the mic element. Thanks for the pics and that information. The back of the mic housing doesn't show openings for a cancelling mic element so this answers my question, the mic was not a noise cancelling type. Gary, I too used noise cancelling mics during my flying in the army and especially in helicopters even later on. Most of the time it was using either a headset or a "crash" helmet with a boom type microphone. The accepted method to ensure the mic was properly positioned was to "pooch out" your lips and adjust the mic to be parallel to and touching them. Crude but effective. I also rember using a mic with the little ridge to place against your upper lip but not very often. I also rember using a mic with the little ridge to place against your upper lip but not very often. I've seen some supremely ugly microphones like that used for some recent America's Cup World Series commentary. I guess I saw them in videos--I can't turn up a still photo. It must be contemporary. It's nowhere near as ugly as the ones I remember. I'll look for one.